It feels like all we've done for the past two weeks is talk about races and racing, so for this episode of F1 Rewind we take a look at what's been happening away from the circuit. 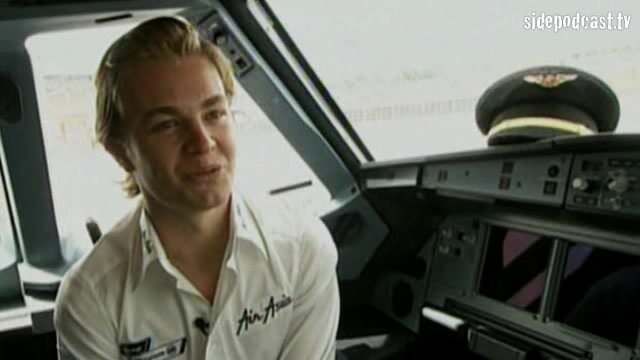 Nico Rosberg talks about his helmet design featured on that plane. Kazuki Nakajima talks about not having his helmet design featured on any plane. And Christine looks into a possible source of Jarno Trulli's recent mood swings. A timely reminder about F1 Digest, because we had to mention the racing at some point. Featuring a different website each week to build up a directory of useful F1 bookmarks, this week Christine takes a closer look at F1 Wolf, in particular the photos from the Australian Grand Prix and the incredibly useful Engine Statistics chart. We're looking for nominations for other sites to feature, especially if they're relatively new or unknown. Please leave details, along with any other feedback, in the comments.